Here’s the start of an occasional series focusing on some of my favourite covers from picture books. What I want to do is to focus on the image and the artwork and the moment itself rather than critiquing the entire book. 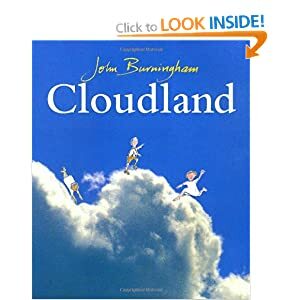 The first in this series is the ethereal and outstanding Cloudland by John Burningham. One of the things about books that I love, and picture books in particular, is the usage of the ‘entire’ book space. By this I mean, the book itself spills over into the endpapers and the cover. Naturally we expect a front cover to every book, but there’s something rather gorgeous and unique about the picture book front cover. Picture books are intensely and deceptively complicated beasts. They need to appeal to the pre-literate, the emerging literate, and the adult who will at some point be reading this to and with their child. That’s a lot to ask from a book and it’s something we should recognise as a massive achievement – and it’s one that’s quite often achieved without words. So here, the front cover symbolises something special. It’s a note of stylistic intent – the ‘overlay’ of the cut-out felt tip pens characters exuberant on the ‘real’ world of the cloud. I love this artwork- it instantly adds a level of otherworldliness to this cover and throughout the book. Rooting the children in a different medium to that of the clouds gives a sort of bigness to their presence. It is as if to say that these children are so potent, so big, that they can master the clouds that fade into the background. These children also very much float which is glorious to see throughout the book. By not having them ever ‘touch’ the clouds that they’re on, the children are given such a light ethereal quality that you almost expect them to float through the pages and out of the book. I remember once turning a page in Cloudland and marvelling at the way the previous page could be seen from the new spread when I held it up to the light. This phenomenon, whilst not necessarily unusual, was something gorgeous in this book because it added to the unreal nature of the children. They were shaped by sunlight and not even held by the page, they span through the book like mist. The title of Cloudland itself appears without a hyphenate, suggesting an actual location, and it’s one that looks full of fun. These children are happy – the two in the white shirts are clearly playing, and what’s more they’re waving. We look to find ourselves in pictures and there’s an invitation here straight away for the reader to join in with the party. But what’s more interesting is the central boy. He feels a little unsure, a little tentative. His movements are more precise and there’s a suggestion of him reaching for something – or even climbing. He adds an element of uncertainty to the cover and it’s through him being placed centrally that we realise that this uncertainty – and the boy himself – are to be central to this story. 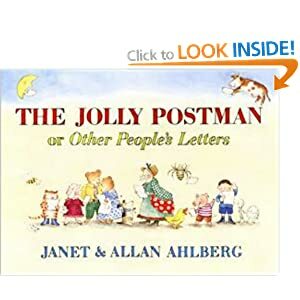 Books like this develop – and enhance – literacies, and do so phenomenally well. To read more on visual literacy and the art of reading visual imagery, check out the work of Scott McCloud and in particular Understanding Comics and its sequels. This book is one of those that rewards persistence. Every double page spread has a *something* that can be pulled out of the envelope, and be read. I love the layers that are at work here and how, very subtly and cleverly, the concept of story is played with and expressed to the utmost. 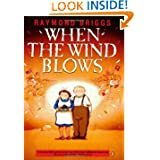 Possibly one of the finest and most heart-breaking graphic novels produced this century, Where The Wind Blows is full of rage and hopeless anger. Superbly, and subtly constructed, it is the story – and the painful conclusion – of a husband and wife dealing with the impact of nuclear war. The brilliance of the Miffy books is undoubted, but Dear Grandma Bunny is one of the finest. Dealing with the death of Grandma Bunny in quiet, clear imagery, it is superb and reaches much deeper than it appears to. Worth hunting out. 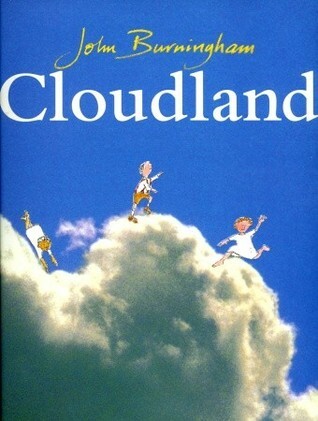 A picture book made of magic, Cloudland is the story of the children up in the clouds and the games they play. Albert, out walking with his parents in the mountains, falls off the edge of a cliff and instead of falling to his doom is caught by the cloud children. Stylistically this book is incredible, told in a mixture of cut-outs overlaid on the most beautiful of images. It’s very beautiful. 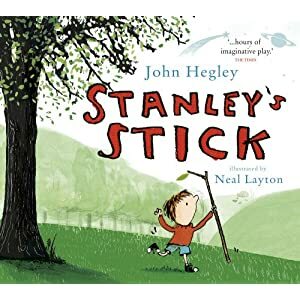 A vivid, screaming to be read out loud, tribute to imagination and the sheer joy of play, Stanley’s Stick is a delight. Stanley goes through the book discovering everything his stick can be. A charming, beautifully constructed book. Don’t let the front cover fool you, this book is superb and not at all dated . Witty and sparky with a constant hive of activity in the background, it’s one which pays off the reader in slapstick by the barrel load. Brilliant. Poetic, wordless, lush imagery tells the story of Daisy and her ball. Raschka’s use of line is bold and thick and vivid, and Daisy herself is a gorgeously vivid creation. One of the books that makes you think words aren’t always necessary. I have a lot of love for Tullet’s work primarily because of the sheer, irrepressible exuberance of it. Nominally an exploration of the five senses, this book provides a journey into the act of reading (can you tell I love an interactive, active engagement with a text?!). This book’s awesome, passionate and full of joy. A deceptively simple alternative look at the invasion of Iraq. It’s told through the eyes of a pride of lions accidentally freed from Baghdad Zoo. This book is alternatively terrifying, heartbreaking, and laugh out loud funny. It’s a visual tour-de-force. This book revolutionised my perception of graphic novels and the first couple of volumes in the series are stunning. Based on the simple premise, what if your parents are really evil, Runaways is awesome. Want strong female heroines? Want them to mention things like puberty? Want a dinosaur? Done. Drawn in a clear and concise style and mainly structured in a text / picture (verso / recto) style, there’s a delightful warmth about the artwork. You can see the mother’s pregnancy developing the further you go through the book and there are some very nice touches about how she’s presented throughout. I particularly enjoyed how she quietly shifts through a whole range of emotions from fatigue through to utter contentment. It’s a very sympathetic book which sat well with me. From a textual perspective, it’s fascinatingly evocative of a small child’s fractured speech and sparky thought process. It is very well done. Or, to put it another way, it’s lovely. Guess How Much I Love You is one of those books which, Gruffalo-esque, has firmly rooted itself into popular culture. This review specifically relates to the pop up version from Walker Books (2011). God I love pop up books. I really really do. A lot of this is due to Huck Scarry’s Looking Into The Middle Ages which I read at an early age and have remembered for the past twenty five odd years primarily because of the fact it had POP UP FREAKING HORSES which frankly would endear anything to me regardless of literary value. The pop up version of Guess How Much I Love You moved me to incredulous tears. It’s beautiful. Pop up, when done well, is breathtaking. This book is gorgeous. It is worth noting that a few of the more elaborate settings may be slightly difficult for smaller fingers to manipulate and that the book as a whole may not be the most robust. But regardless of that, it is worth persevering to deliver the full effect of the pop up as it’s very much worth it. And jeepers but the last double-spread is beyond lush. Chilly Milly Moo is one of those books that took me by surprise. With a distinct artistic style, both in palette and use of line, coupled with a pleasing story about accepting difference, it’s a pretty unusual book. Chilly Milly Moo is the story of Milly – a cow who can’t produce milk. We eventually learn that she does have her own special skills that make her pretty damn cool (no pun intended) to have around. There’s an allusion to bullying (there’s a crowd of three “normal” cows that engage in an occasional dialogue with Milly) but this is fairly subtle and may require a rereading to pick up. I had a little bit of difficulty with the colour story. It’s a fairly muted palette of earthy tones – browns, greys and the occasional washed out pastel background. There’s a lot of intriguing subtlety in this book that may be missed in a traditional classroom context. I felt it would work stronger in smaller groups and one-to-one settings in order to allow more interactivity with the text.